Poor EU states are not fulfilling their landfill waste reduction targets, EU Report says. Cyprus, Croatia, Greece, Malta as well as Turkey are still greater than 75% of their waste to landfill. The EU will for certain, have to take Slovakia to court for landfill , and also attain adequate waste diversion and recycling to reduce the amount of waste being sent to landfill. If the high waste diversion targets (landfill waste reduction targets), which are essential to satisfy decrease targets, are to be fulfilled, a lot more has to be done, by these countries. It will, without any doubt, be essential that every EU member country collaborates closely to increase the general public’s understanding of the ideas and and principles of the circular economy. The numbers of individuals that have actually genuinely analysed the significance of the circular economy are still to low in their numbers, in the failing EU countries. As a matter of fact it would certainly be, in the opinion of the author that few individuals outside the waste management sector understand just what the circular economy implies. The absence of comprehension even amongst technical and scientific reporters, is evident from the manner in which the popular press hardly ever go beyond making use of the term “recycling”. They continually use the term “recycling”when they ought to be describing, the “circular economy” to the general public. This means that landfill waste reduction targets are not taken seriously enough. Industry is whoever, keen to see progress toward a circular economy through landfill waste reduction targets. Industry leads the general public in their readiness to welcome the concepts of the circular economy. In the point of view of the writer, most of the biggest globalised business currently see the circular economy as an important advantage to companies. It is viewed as offering both sustainable raw material streams, as well as much more secure raw materials supplies at stable prices. And, in addition to that, investors so much wish to buy shares in environment-friendly organisations that they seem to be quite capable of compelling business directors to sit-up and also take notice, or otherwise see their share values drop. Regrettably, the writer’s viewpoint is that in numerous EU countries the general public have no idea concerning this sea-change in landfill waste reduction targets, at board level, from hostility to recycling, to welcoming the circular economy. This change has already largely taken place, within numerous firms. The general public have actually not been informed that recycling, and landfill waste reduction targets, although valuable ideas, will soon be incorporated (by EU regulations), into the “circular economy model“. This will, from the current date onward, become the driver of policy decisions, as well as a much more all-inclusive idea compared to recycling alone. Unless in the minds of the man in the street, the idea of the circular economy is recognised as being “green” and sustainable, the to their minds, ever-rising levels of recycling might simply look like an ever-rising cost burden. This would be a perpetual burden on their local tax rates. But, the concept of the circular economy is the opposite to that. When fully and consistently implemented across the EU, it will create more jobs and prosperity, and will not make the EU member states poorer, more highly taxed, nations. On the whole the EU reusing/ waste diversion scene represents great progress toward achieving landfill waste reduction targets, as out in the figures listed below. 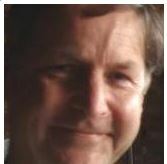 Yet, the essential first step of achieving landfill waste reduction targets, actually be done? However, the results were not entirely consistent across-the-board in seven countries, the proportion of recycled municipal waste barely changed and in two, it decreased slightly. Cyprus, Croatia, Greece, Malta and Turkey are still sending more than three quarters of their municipal waste to landfill thereby flouting the landfill waste reduction targets. These figures will need to improve rapidly if the EU’s 2020 target of recycling half of all household waste is to be achieved, the EEA states. Despite progress in living up to European legislation on waste management, in terms of the landfill waste reduction targets the outlook for reaching the EU’s 50% recycling target for municipal waste by 2020 is mixed and many countries will have to step up their efforts, according to the EEA. 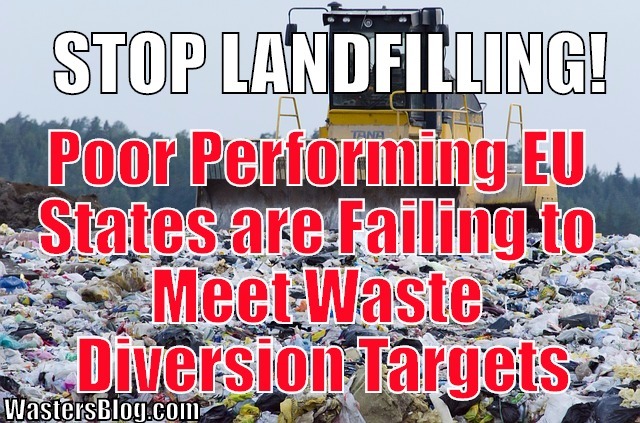 Performance on landfill waste reduction targets is an uncertain picture, and once the exit of the UK gets underway, the removal of UK funding to the EU in general must surely be looming problem for the whole of the EU. The indication must be that the remaining wealthy nations will have to dig deeper into their pockets to fund the many waste reduction schemes to which the EU is now committed.